Looking for pharmaceutical jobs or FMCG jobs in Australia? This is an exciting time to join Key Pharmaceuticals. Joining the team will see you collaborate with dedicated people who share our values of integrity, quality, passion and long term partnerships. Key Pharmaceuticals is one of the leading independent Australian owned consumer healthcare companies. This is a stimulating role for an experienced Associate and an opportunity to develop further skills and experience in a full range of compliance activities across a wide range of brands, product categories, regulatory classifications and manufacturers. You will need 2-3 years in a similar role in the pharmaceutical sector and a Bachelor of Science majoring in Chemistry or an equivalent field. Experience in Validation will be preferred but is not essential. Strong attention to detail and excellent time management and organisational skills are essential. A family business at heart, we pride ourselves on being a warm, welcoming, and supportive place to work. We have a fair and equitable culture inspired by our values of integrity, quality, passion and long term partnerships. To apply, please click the apply now button below and submit your cover letter and resume to Human Resources today. As Key Pharmaceuticals prefers to manage all sourcing directly, please submit your applications to this role if you are interested. Please note introductions via recruitment agencies will not be accepted. Key Pharmaceuticals is a leading Australian privately owned OTC/Consumer Healthcare Company proudly serving consumers, customers and healthcare professionals since 1901, becoming Key Pharmaceuticals in 1985. The majority of our products are therapeutic goods designed to improve health, well-being, vitality and physical appearance, we also market home use diagnostics. The majority of our products are owned by the company however we also retain exclusive license and distribution arrangements with companies in the USA, Europe and Asia as well as Australia. We require various regulatory approvals to distribute and sell our products in order to operate commercially. 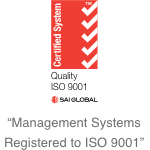 A formal Quality Management System is an integral part of achieving and maintaining required certifications and approvals, and ensures consistent, compliant operation of the company. An exciting opportunity currently exists for a Quality Assurance Officer to join our team. This is a full-time position based in our Macquarie Park office. This is a rare opportunity to join a growing company that is a leader in the field of OTC pharmaceuticals. Key Pharmaceuticals will offer the right candidate a stable, friendly work environment while you develop your career and be rewarded for your commitment.